Whether or not you are friends with Mary Jane, it doesn’t mean you shouldn’t know as much as possible about this highly controversial substance. Some people believe it’s the devil’s elixir and others feel it’s a miraculous cure for every evil under the sun. Actually, cannabis falls somewhere in between the two poles and since it is so controversial, it is important to have the facts. Whether you live in a state where it is now legalized in some form or one that will soon be voting on legalization, the industry is growing by the day. The following information is intended for those women who don’t really know enough about cannabis to form an opinion but would like to have the facts. Here you go ladies, here are six facts every woman (and man, of course!) should know about cannabis in all its forms. One of the most misunderstood aspects of cannabis is that not all cannabis gets you high! There are two very distinct compounds in a cannabis plant which are delta-9-tetrahydrocannabinol (THC) and cannabidiols (CBD). Only the THC is psychoactive whereas CBDs are not. It is the CBD component of cannabis that makes it a perfect natural drug being prescribed by a growing number of doctors around the country. From anxiety to pain, CBDs have been proven to be effective and so much less harmful than chemical pharmaceuticals in most of today’s prescription medications. If you use cannabis for medical or recreational purposes, you know that there are two very distinct sub-species. Some people refer to Sativa and Indica as ‘species’ but this isn’t exactly accurate since cannabis is the species (family) with Sativa and Indica being subspecies. The major difference between the two is that Indica has properties acting more on physical effects while Sativa is said to be a mind experience. Those who are creatives by nature prefer the Sativa strains because they energize the thought process whereas an Indica would bring them to a relaxed state of being where it is difficult to get up the ambition to do much of anything at all! Looking a bit deeper into the difference between Indica and Sativa sub-species of cannabis, it stands to reason that Sativa strains will be higher in THC whereas Indica strains have higher levels of CBDs. Indica, then, is the subspecies most in demand for medicinal purposes. For example, if you were on vacation in Las Vegas and suddenly developed a migraine, you could pop a pill or you could go down a healthier route by calling this dispensary to have them deliver a few grams of an Indica strain to your hotel room. Yes, there is a pharmacy on the premises, but who wants to take an OTC NSAID when you can relax and enjoy natural relief with a few hits of Northern Lights or Critical Kush? Another interesting fact is that over the years cannabis has been called by a number of names. From Mary Jane to weed to pot to any number of street names, what it’s called typically trends by generation. Therefore, you can be sitting in the same room with several different people, all talking about the same thing, but using different names. If you want to really understand the nuances, it would be interesting to sit back and listen to how it is being referred to. Some people simply call it their ‘medicine’ because that’s what it is to them and others use names like reefer, ganja, herb, grass, dope and other less popular names like flower or roach. Actually, you can get a feel for what people think about marijuana just by how they refer to it. 5. Marijuana Is Actually an Ancient Crop! 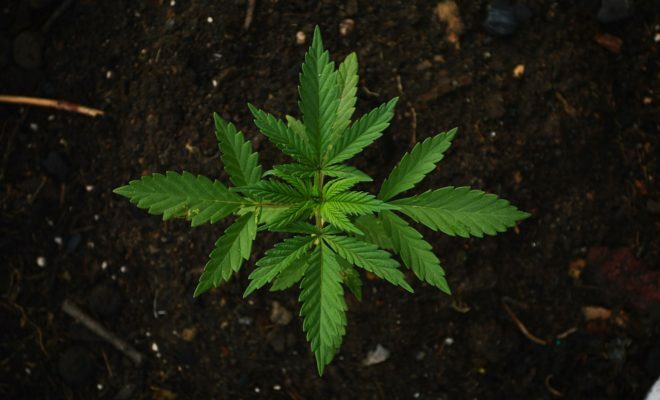 Did you know that marijuana has been grown as a crop for more than six thousand years? As part of the hemp family of plants, ancient civilizations used it for everything from food to oil and paper. In fact, hemp seeds are still eaten today and have a huge number of health benefits. Then, of course, fiber from the hemp plant is used for such things as yarn to be used in crafts as well as in making high-quality paper. Hemp fiber is used for ropes and has been for literally thousands of years. 6. Not as Toxic as Alcohol – Believe It or Not! Then there is the fact that marijuana is not as toxic as such mind-altering substances like alcohol. Alcohol is one of the leading causes of such things as liver disease and the same can’t be said of marijuana. However, there are some who believe that anything that is smoked can be carcinogenic, but it has been substantiated that smoking a joint isn’t as toxic as smoking a cigarette. The jury may still be out on that one, but there seems to be some great amount of truth in that line of thinking. In the end, there are also people who feel that marijuana is a gateway drug leading to more dangerous drugs like the opioid family of drugs. Actually, there is a growing body of evidence to substantiate the fact that marijuana doesn’t lead users to seek other kinds of highs. While the debate is still going strong, there is little to suggest that those who smoke pot go on to heroin addiction or alcohol abuse. Many women find that using CBDs to deal with pain and to relax after a long, stressful day is far safer than picking up a glass of wine or taking a tranquilizer. Marijuana is not as toxic to the body as alcohol and pharmaceuticals, so they opt for something now proven to be safer and healthier. The key takeaway is that it’s time to do the research for yourself rather than listening to outdated theories from days before advances in medical science. These are the facts. Now, what is your conclusion?